The Diablo 5000B Real-Time Gas Analyzer (RTGA) is a real-time chemical measurement tool for continuous process improvement. It is ideal for applications where fast chemical analysis is required, such as monitoring process transients and dynamic continuous reactions. The 5000B RTGA can be used for fuel cell gas analysis, syngas monitoring, catalyst research, monitoring of volatile solvent residues, pharmaceutical reactor headspace monitoring, and many other applications. The Diablo 5000B Real-Time Gas Analyzer (RTGA) provides a real-time chemical measurement tool for continuous process improvements. It is ideal for applications where very fast analysis is required, such as monitoring for transients and continuous reactions. 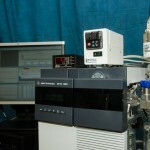 The Diablo RTGA can be used for fuel cell gas analysis, syngas monitoring and many other applications. Flexible, rugged, fast responding direct process sampling interface. Multiple interface configurations are available for high-flow, high-pressure, low-flow, fast-response, and vacuum sampling. The hardware sampling interface technology and MS Sensor software were originally developed by Diablo Analytical and licensed to Agilent Technologies in 2001 to enable the Agilent 5973N MSD to be used for direct gas sampling and continuous process analysis. 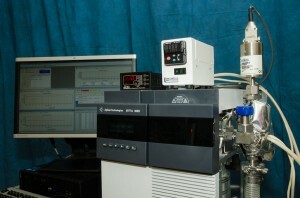 Agilent named that instrument the Agilent 5000A Real-Time Gas Analyzer (RTGA). In February of 2007, Agilent and Diablo signed an agreement that enabled Diablo to take over development, manufacturing, sales and support of the 5000A RTGA. In Februrary of 2019, Diablo released the 5000B RTGA and MS Sensor 4.0 software.